Skydivers are often asked why they’d want to jump out of a perfectly good aeroplane, but what if it wasn’t perfect? I was in the States and it was a sunny California day and a group of friends and I were being put through our paces for our accelerated freefall (AFF) ratings. We had flown an examiner interstate and our days were busy with jumping, packing, briefings and debriefings. The course was challenging, the days long and hot, and our examiner was pushing us on every jump. On days like these I welcomed the aircraft ride-a brief 15 minutes to catch my breath, run through the dive in my mind and recheck my gear. On this particular day we took off uneventfully like we had many times that morning. Climbing through 1000 feet, 17 jumpers began taking off their seatbelts, sweating in our nylon suits-we anticipated this moment on every load. I watched the jumper by the door as he lifted the roller. Cool air rushed in, a taste of freedom soon to come. However, he closed it again quickly, pointing to a few drops of liquid on the perspex. Chinese whispers spread around the plane as the message was relayed to the pilot-there was fuel spraying down the side of the plane. We peered out of the small perspex windows, the source of the leak unknown. The engine noise changed, and I felt the thrust of the turbine reducing as the plane banked to the right. I instinctively buckled my seatbelt for landing. Someone probably spilt some fuel when refuelling or left the cap off. It seemed logical that the pilot was turning around immediately to land and check it out. I checked my altitude-1880 feet. High enough to get out, but maybe not with 16 people in front of me. Besides, everything seemed to be under control. We came out of our 180-degree turn, and then there was an uncomfortable silence as we began descending. ‘Are we gliding?’ someone asked. There was more silence. I could see the airport out my window-we were on base leg for two six, but it was a long way out. I willed the plane for better glide just like all those times coming home from a long spot under my parachute. The plane slowed and the airport rose higher in my field of view. I looked at my altitude. We rapidly descended through 1000 feet, too low to get out. I turned to my friend on the other bench. ‘We aren’t going to make the airport,’ I said. ‘We aren’t going to make the airport?’ he blurted back incredulously. I said nothing while he tightened his tandem passenger’s harness. I stared fixatedly out of the window. I couldn’t see any big green fields, just houses, high-voltage powerlines and the freeway. A cacophony of beeps rippled through the plane as mine and the other skydivers audible altimeters shrieked their frantic warnings. Trees came into view. Comments such as, ‘Alright, we’re doing this’, ‘Relax’, ‘Hang on’ punctuated the silence. We passed over a row of treetops, 50 feet up over a field. It seemed like forever and most of the precious green field passed before we finally slammed down, bouncing a little. I could feel the pilot’s futile attempts to apply the brakes in the loose dirt. We were fully loaded and going fast. Everyone was hanging on tight to the person in front of them. ‘Open the door, open the door,’ someone yelled. A stand of trees rushed past at astonishing speed, followed immediately by a loud bang. Everything went black. I was in a tangle of bodies and I realised I was upside down. Yelling and beeping was everywhere. My mind was filled with a fear of burning. Liquid was spraying somewhere outside. I tried to find my seatbelt latch to unbuckle. I struggled for a moment then remembered the saying, ‘Slow is smooth, smooth is fast’. Click. I fell to the floor in a tangled mess of bodies-under me and on top of me. Everything was still black. I struggled to my feet and felt like a tortoise righting itself. There were people all over the floor. I had to kneel and step on them until I found some standing room. ‘There is no fire … relax,’ someone yelled. I looked to the front-there was liquid spraying on the windows. The front of the plane was total chaos. We crawled and scrambled out of the plane. Wrapped in tangled wires and impaled by steel stakes, it was upside down in a vineyard. Broken sprinklers were making little fountains everywhere. We helped each other over the wing, slipping on the aluminum surface, lubricated by jet fuel. We made it to a road. I had no idea where we were. A woman came up to a group of us and said, ‘You hit our truck!’ ‘What, with our plane?’ I questioned. We found the rest of the skydivers standing around in someone’s driveway. It seemed everyone was alive and well, if a little disorientated. The pilot had a bloody nose. We started walking. A resident pulled over and offered us a ride. We got back to the drop zone a few minutes later to questions such as, ‘Did you guys land off?’ ‘Why are you still packed?’ Skydivers were preparing for the next load and the plane was late. ‘Na, the plane crashed,’ I replied. ‘Is it OK?’ ‘Na, it’s %&$#? !’ I replied. We caught up on events while someone went inside to tell the drop zone owner. Just a moment later we saw him drive past in the tug. Less than five minutes later he drove back past, Twin Otter in tow. ‘We are going to combine loads 12 and 13,’ echoed over the PA system. So what did I learn? Seatbelts save lives. They are a reasonably recent addition to jump planes and are not used in all drop zones in all countries. Many people are dubious about their worth in jump planes. However, the force in our reasonably low-speed incident was surprisingly vicious. Can you imagine being slammed into by seventeen 100 kilo sacks of potatoes during an accident? That becomes several tonnes of force when you had a few Gs. Without everyone wearing seatbelts, I’m certain some of us would have been crushed to death. Knowing which seatbelt is yours needs to be part of aircraft briefings. Benches can be long and people can pick up the wrong seatbelt in a rush, leaving the person at the end of the bench without one. The usual drop zone briefing on aircraft emergencies doesn’t equate to much more than ‘Wait for instructions from the pilot’. In our situation, there wasn’t the time to wait for instructions from a pilot busy trying to land a heavily loaded plane in a populated area. Maybe aircraft evacuations should be practised as part of safety days. What specific situations should we exit and when should we stay? Who makes the decisions? Is it up to the individual? How do we get as many people out at a safe altitude without upsetting weight and balance? We have all thought about these things as individuals but we have never practised them as a group. We practise every other emergency procedure over and over again. But we are skydivers and not pilots, so tend to ignore the aircraft side of our safety. Door safety is also an issue. The door remained shut throughout the incident and when upside down, the disorientated jumpers took a while to open it. In the USA, there is no lock-open mechanism like we have in Australia. With an open door one of the jumpers could have been thrown from the plane during the crash. Door open or shut for a landing-this needs to be decided as part of the emergency procedure. There are ample studies and actual tests which show the correct attachment and brace position for a crash when wearing a single point restraint. This needs to be taught and displayed at the drop zone. 1800 feet and you didn’t get out? Back in my day you would have been killed in the rush for the door! You correctly identified the problem …. 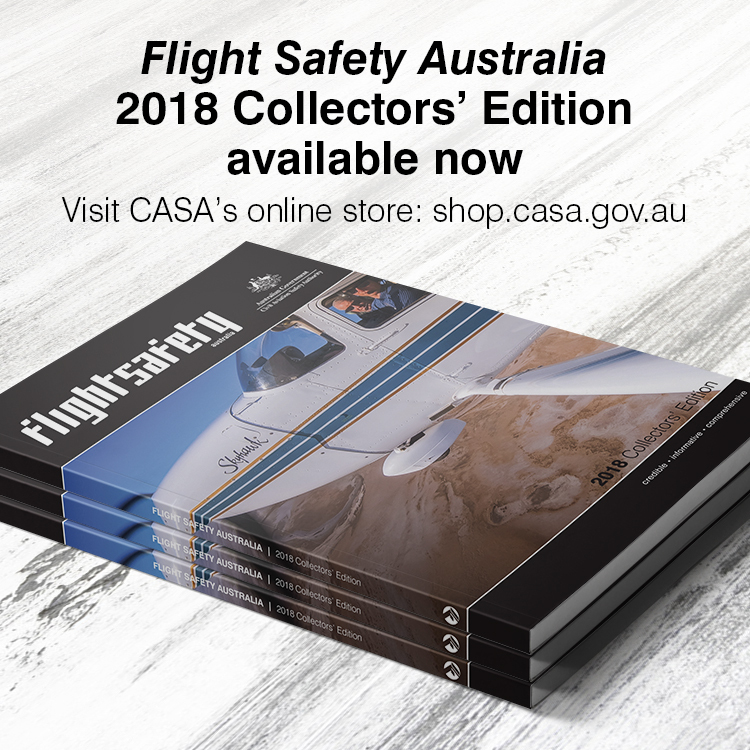 It appears there was a lack of communication between the jumpers and the pilot due to his high workload with an engine failure not long after take-off? Fuel seen streaking down cabin windows! When the jumpers realised there was a serious situation aircraft was too low for them to jump! 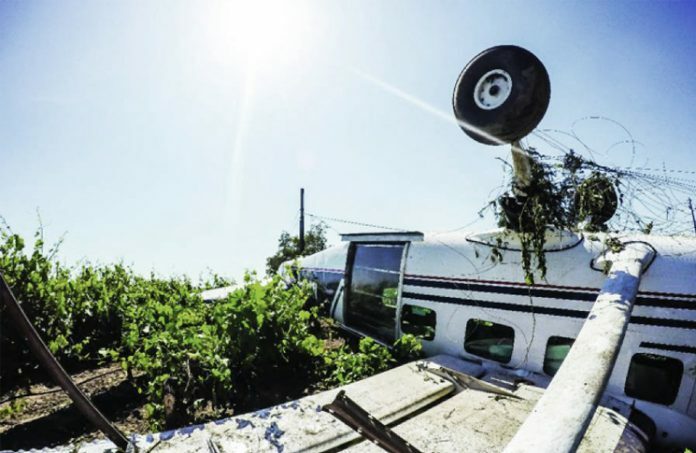 According to the accident docket on the US National Transportation Safety Board (NTSB) website, the Cessna 208B had recently undergone a fuel line replacement. After the accident the fuel line was discovered to be in two pieces by investigators. An official probable cause statement has yet to be published by the US NTSB, however given concurrent failure of a compression fitting and fatigue failure indications in the fuel line documented by the post accident NTSB Materials Lab, one might speculate (with caution) that a maintenance failure was the root cause of the accident. The pilot deserves kudos for landing the aircraft under extremely difficult circumstances. None of the 17 sky divers were injured, the 64 year old, 7100 hour commercial pilot suffered only minor injuries. Clearly, this was NOT a matter of “going too fast”, it was something else. Better to be a bit too fast and under control than attempt to stretch the glide and enter a (pilot induced) stall/spin. The pilot landed the aircraft about 1/2 mile ‘from the numbers’ on the runway. I’d fly with him any time. the words “going too fast” do not appear in the article. Well written. Thanks for sharing. I rekon door open is the go.m in a forced landing in a caravan. As you say, there is a posssibility of the person:s sat in th door being thrown part way out, but that cpossiblitty is low, especially if their SPR is correctly attached and fitted. Th flip side is that 18 petiole cannot escape, should th door become James shut. In this particular case door shut was probably the better choice with the fuel spraying down the side of the aircraft. By the time you actually hit the deck people in the rear of the plane could have been fuel soaked with a high risk of fire, not good. Glad to hear all made it out ok and sounds like the pilot did a good job.